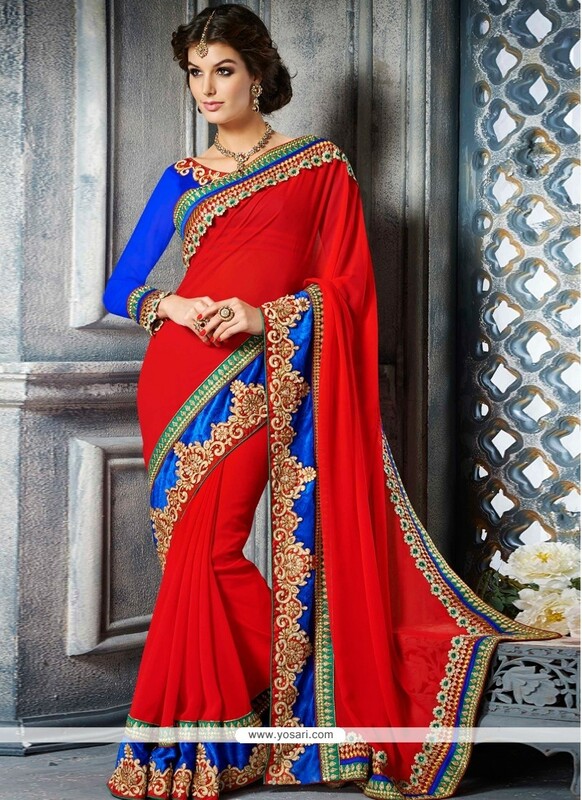 Observable Red Georgette Designer Saree with zari,embroidery and lace border work. Pair with matching blue art silk blouse. (Slight variation in color and patch border work is possible.) Its a pretty Georgette saree for wear on Wedding and Ceremonial. Georgette Fabric and Red color embroidery and Print used to make this stylish Saree.